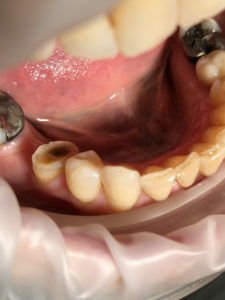 If a tooth is weak, heavily damaged, or the bulk has weathered away, we might be able to restore it. 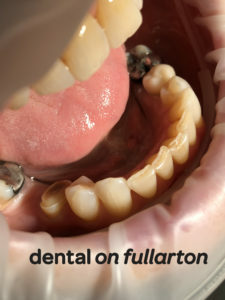 When appropriate, we can offer the possibility of a custom designed crown. It acts like a helmet which covers the tooth to help protect it from further breakdown. Up until the last century gold crowns were widely used to restore broken down teeth. But how times have changed, as more and more people look towards a more natural healthy smile. 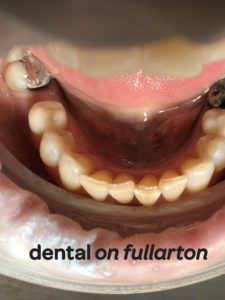 With the use of metal free materials like ceramic or porcelain, we are now able to offer cosmetically superior options. SO YOU NEED A CROWN? 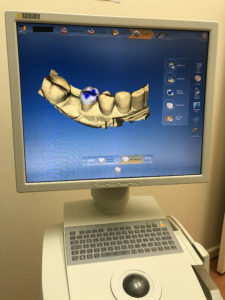 As handy as crowns are, the process until recently used to take multiple appointments, with a processing time of about 2 weeks for the final crown. 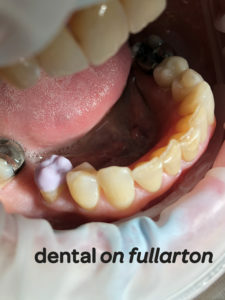 Multiple visits, gooey impressions and temporary fillings while you waited weeks. SO WHY CAN’T THERE BE AN EASIER WAY? There is nowadays! Technology in the medical industry has rapidly evolved. 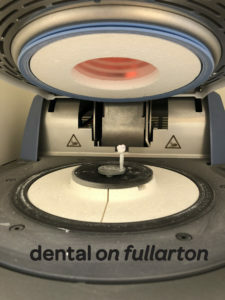 At Dental On Fullarton we offer same day CEREC crowns. 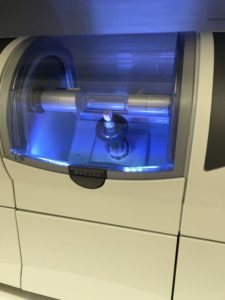 We have been using this system for 5+ years, and as early adopters we have made hundreds and hundreds of CEREC crowns using the German engineered SIRONA CAD\CAM system. Using CAD\CAM computing and 3D scanners, we can custom design and fabricate crowns in-house, on the same day. 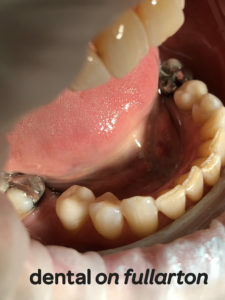 The crown was bonded with a strong resin adhesive. The life and function of this broken down tooth is extended. The client was very happy with the cosmetic outcome too. 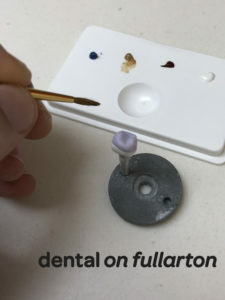 The final restoration was made in its entirety on-site at Dental On Fullarton. And the bonus, being time efficient, we were able to offer this crown at a competitive price.